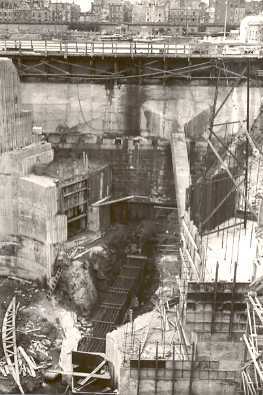 Site of the downstream north door. At the bottom of the picture, we can see the fastening cables of the lower pivot of the door. Above, we see the aqueduct.